Case description The use of i.v. colistin reappeared recently for the treatment of multidrug-resistant Gram negative organisms in the intensive care and cystic fibrosis (CF) setting. According to the latest pharmacokinetic data, a loading dose and high antibiotic doses are given. Two cases of adverse events (paraesthesias, bad taste) were observed immediately after the start of infusion of a high dose of i.v. colistin in adult CF patients at the Ghent University Hospital. Conclusion Recommendations for optimal administration of i.v. colistin in adult CF patients are scarce. 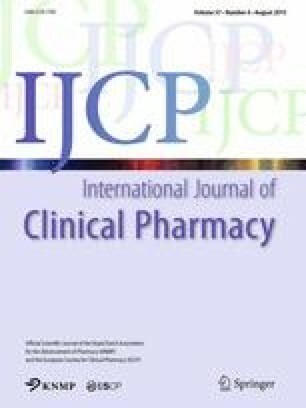 This article highlights the importance of mode of administration to avoid toxicity and relates it to recent pharmacokinetic/-dynamic literature. We acknowledge Professor William Couet, Poitiers, France, for his valuable reflection on the possibility to assess pharmacokinetic information.